Australian Primary Health Care Nurses Association is the peak professional body for nurses working in primary health care. 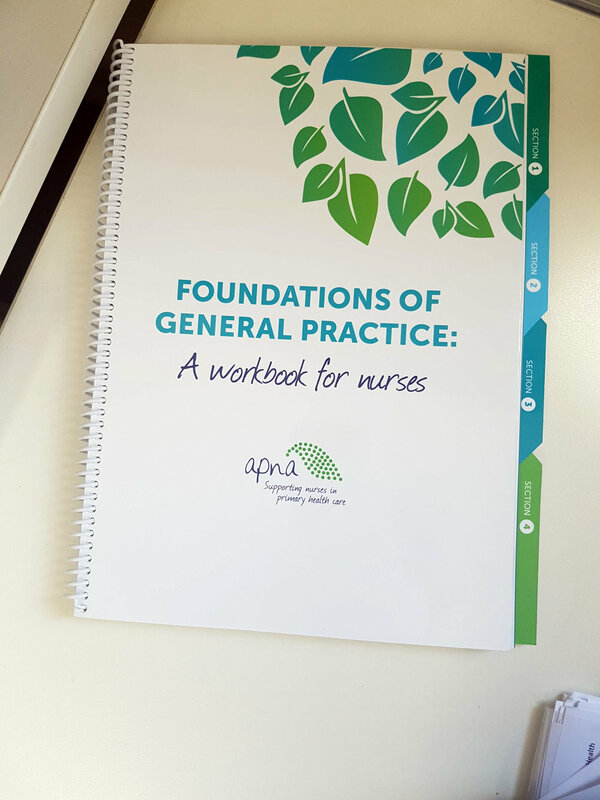 APNA champions the role of primary health care nurses; to advance professional recognition, ensure workforce sustainability, nurture leadership in health, and optimise the role of nurses in patient-centred care in and around Australia. Find out more about APNA here. 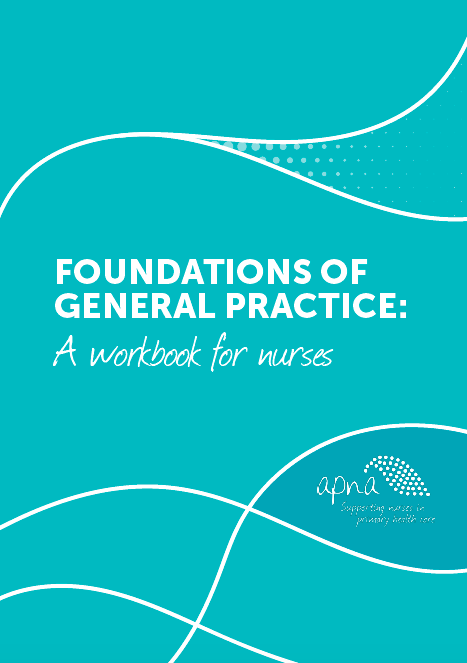 Australian Primary Nursing Association (APNA) came to me with a strong vision of wanting to make their “Foundations of General Practice” Workbook an engaging tool that nurses would use at their workshops and refer back too. The client is based in Melbourne and at the time when I initially started the project I was based in Brisbane. Not long after that extra work took me to Europe so I was project managing this workbook from the other side of the world. Communication was key. The client was heavily involved with the details of this project and overall I would say the success of this project was down to the collaborative effort by both parties. Initially in the design I spent most of the time developing the styling of the workbook. This involved: The checklist tables that nurses had to fill in, resources, headings and body and cover design. Overall we spent quite a bit of time on the cover mainly because this dictated the rest of the design of the workbook as it was overall quite copy heavy. Keywords that were thrown around about the cover were it needed to be: Constructive, supportive, building blocks emotive and friendly. In the end we ended up developing a tree motif, where you will begin to see how the leaves of this tree were developed throughout the rest of the document.